 Pantone’s Color of the Year for 2016 is Greenery, a lively color that’s sure to bring pep to anything you paint! A new year will offer fresh starts for everyone, and the 2017 color of the year perfectly represents new beginnings. The Pantone color of the year represents rejuvenation and is going to be one of the most popular colors you see in homes in 2017. Here’s everything you need to know about Pantone’s color of the year. The 2017 Pantone color of the year is called Greenery. The color creates feelings of revitalization and will brighten up your mornings. It is vibrant, but it’s not overwhelming. This isn’t the first time a green color was chosen for the Pantone color of the year. In 2013, the color of the year was Emerald. And in 2010, the color of the year was a blue-green Turquoise. But both hues of these paint colors are darker, and both of these paint colors are more subdued than Greenery. Using the Greenery color in your home will provide you with a lot of options in terms of pairing furniture and fixtures with your new wall color. Because Greenery will remind you of nature, wooden furniture and fixtures like coffee tables, end tables, bar stools, and wooden picture frames will all look good in a room painted with the Greenery color. Adding plants inside your home will also be a nice addition and compliment the colors. Because of its vibrancy, you may want to avoid painting your bedroom with the Greenery hue. But in almost any other room in the house, especially reading rooms and lounge areas, this is a great color. Paints don’t stick well to dirty walls. Before you start painting your walls with a new color, make sure to clean them with water and soap. Rinse the walls with water when you are done, and let your walls dry overnight. Also, make sure that you clean your ceilings before you start to paint. There could be a lot of dust and cobwebs on your ceiling because it’s hard to see dust and cobwebs. And before you start painting, make sure you give yourself plenty of time to complete the project. It’s better to overestimate how long it will take to paint than to underestimate it. You want your new walls to look great, but they won’t look great if you rush the process.